I'd recently become a member of the GaragePunk Hideout and a big fan of wild and wondrous podcasts that were an integral part of that online musical community. Having produced two late-night radio shows for more than a decade at KSFR in Santa Fe, I thought I'd try my hand at this newfangled podcast thing. I slapped together my first show -- using an old recording of one of my old Halloween radio shows, I slapped together my first podcast. About a month later I put together an original show. And I've been going ever since. 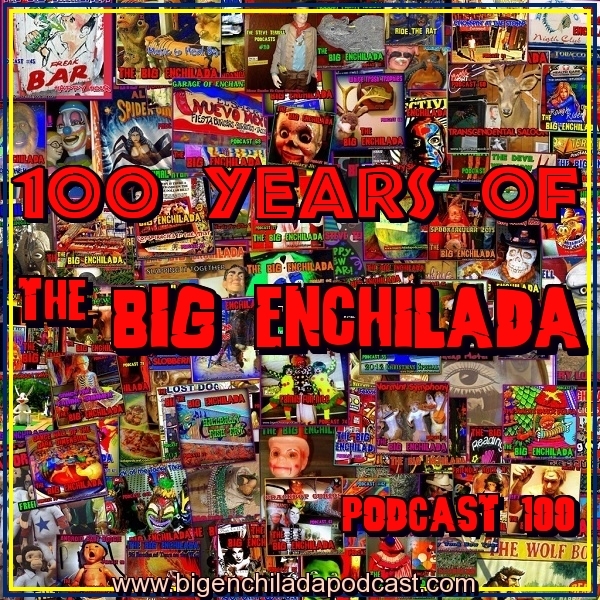 Welcome to the 100th Big Enchilada Podcast.